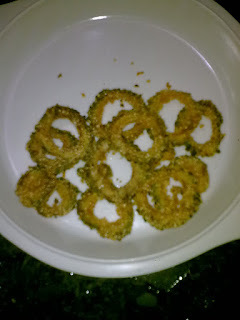 So this is a very simple dish which can be served as a starter too along with ketchup or chutney. Wash and cut the veggies into small pieces.I have used bitter gourd(kaarate in konkani).Check the pic. Apply salt and let it stand for atleast 10 min. Then drain out the water and apply chilly and haldi powder. 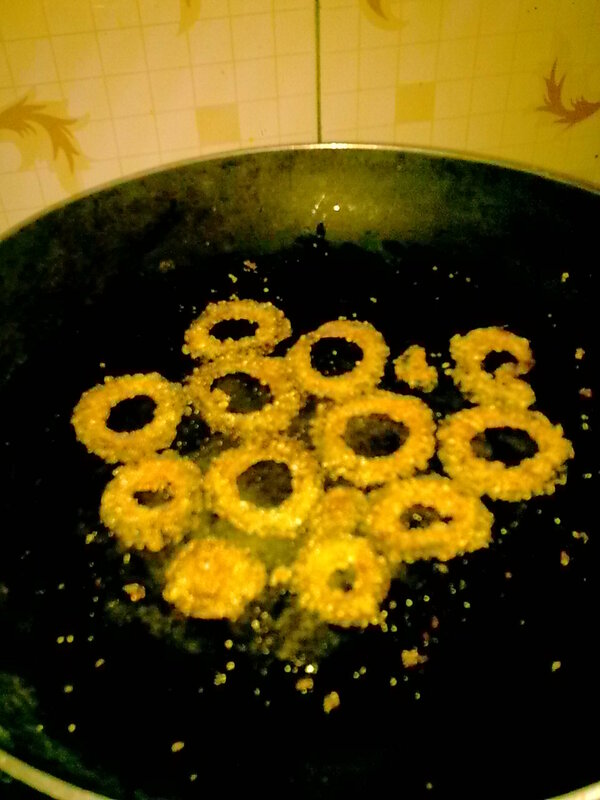 Roll the veggies in rice flour(aalen in konkani) or rava(sooji) and shallow fry them on a low flame on a non-stick tava. Serve these as a starter or just a side dish with rice.